Well, it was a looong week… I wasn’t writing or cooking anything for the past few days because we had some bad stomach flu, 24 hours in the ER with our little boy and then when he was finally ok, it was our turn… but the worst part was that my partner fainted and got a nasty head injury, so we had a pretty bad week. If one of us is ok then it is not that bad and one can handle the situation, but when you are all sick in the house it begins to be a bit complicated. The most important thing is that we’re ok now and ready to eat some more pasta. 🙂 Of course, this wasn’t the first meal we ate after the stomach flu because the Italian sausage isn’t really the key of a light diet low in fat one should eat after having stomach issues. 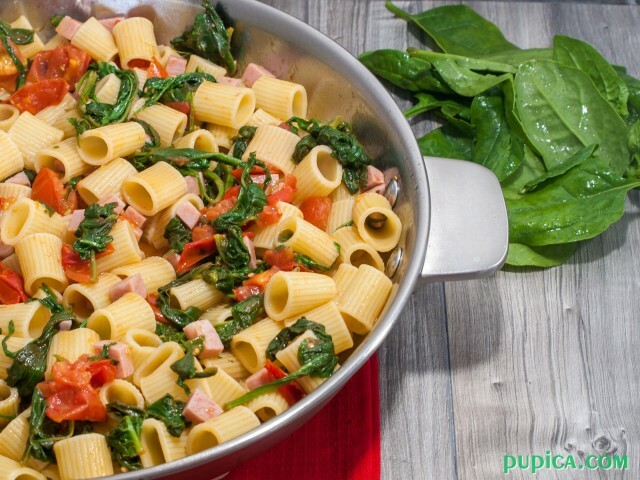 Pasta with baby spinach, tomatoes and Italian sausage is a quick recipe that you can prepare in only 20 minutes. I love the combination of a slightly sweet flavor of baby spinach and salty Italian sausage. 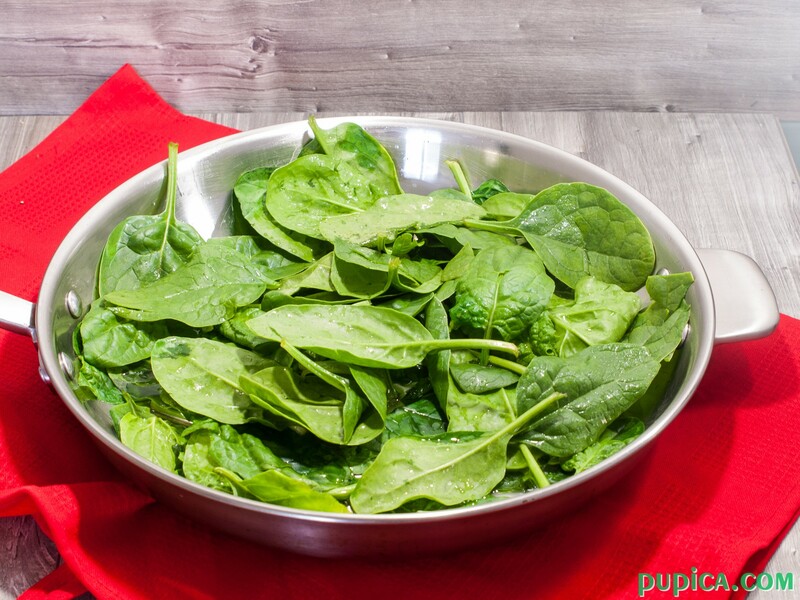 The less you cook the spinach the better, I cook it for 5 to 10 minutes, although it would be better to cook it for less than 5 minutes as that way you minimize the loss of nutrients. 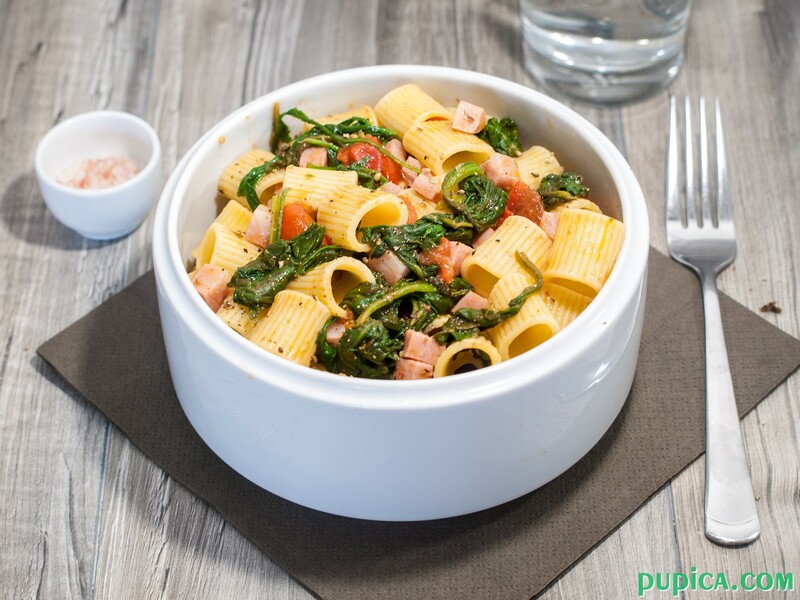 For this recipe, the best form of pasta is a short one like rigatoni, mezze penne or farfalle. If you want to add some additional sweet flavor to this dish add 100 ml of dry white wine and let it evaporate by cooking over high heat, I wanted to do so, but I totally forgot to add it this time… It must be the post-flu state of mind 🙂 But it was absolutely tasty anyway! If you don’t have Italian sausage you can use smoked bacon or diced smoked ham. 2In a skillet, heat the oil and add washed spinach, diced mortadella and cherry tomatoes (cut in half). 3Cook for 10 minutes and add a small glass of water if necessary. 4Adjust with salt and pepper. 5Drain the pasta and put it in the skillet with other ingredients. Toss well to coat.